In arid west Texas, where rain is infrequent and rivers and lakes are few, groundwater – water from sources beneath the surface of the earth – is key to survival. And as the oil and gas industry in the Permian Basin demands more of this resource from the surrounding area, researchers are scrambling to study the systems of webbed aquifers that feed households, farms, ranches and industry in the region. But for residents there’s a familiar tension, over who gets to decide the fate of their water. Jeff Williams manages his family’s 18,000-acre farm outside Fort Stockton. Their land sits on top of five different prolific aquifers on the southeastern edge of the Permian Basin. Standing by an irrigation ditch, shooting water to a fish pond, he acknowledges that his family isn’t the most popular in the neighborhood. They’re the biggest consumers of water in Pecos County. His grandfather, Clayton Williams Sr., is notorious for pumping nearby Comanche Springs dry in the ’50s. It used to be a West Texas oasis, like nearby Balmorhea. Once it dried up, a new pool filled with chlorinated water was built on top of the town’s old spring-fed pool. Farmers downstream of the springs filed a lawsuit against Clayton Williams and 25 of his neighbors to stop the pumping. But in 1954, they lost the case. In Texas, according to the long-standing rule of capture, the water beneath your land is yours to do with as you please. Just last summer, after another drawn-out legal battle, Jeff Williams and his father secured a controversial permit to pump and export up to 25 million gallons of water a day. Eventually that water may go to the city of Odessa but for now,they’re selling to an oil and gas company in the Permian Basin. For Williams, it boils down to a question that many Texans are asking: What is the highest and best use? Should the water that sits under the state of Texas be reserved for farms and ranches, for drinking water supply, or for oil and gas development? Williams doesn’t see a problem with using it for everything. “Everyone’s going to draw their own conclusion and they probably already have. But for me, I see a positive in all of it,” he says. But is there enough water to go around? As hydraulic fracturing operations ramp up in the Permian Basin and demand more, at least three water drilling companies have staked new territory in the Trans-Pecos – the mountainous desert region on the outskirts of oil country. Located in the Davis Mountains, Van Horn and Pecos, the water drillers report that they are turning away from freshwater, long favored in the fracking process. Instead, they’re gearing up to pump industrial quantities of brackish groundwater to sell to oil and gas companies. That’s water with dissolved solids in it. It’s saline, but not as salty as seawater. Andrea Croskrey, a researcher with the Texas Water Development Board, maps sources of brackish groundwater across the state. She says that brackish groundwater became of special interest to TWDB during the 2011 drought. And as the population grows, it’s a resource that’s going to be importantfor all kinds of uses. But we need more data before we can regulate it properly. According to Croskrey, one way to access that data is to monitor conditions as new parts of our aquifers are pumped. And as demand increases, a lot of questions remain about using brackish water. Like how much do we have and how does it get replenished? And how could pumping it affect our supply of freshwater? “I mean really it’s all about ensuring that there’s water for future Texans,” Croskrey says. That’s Dr. Andrew Sansom’s concern as well. He’s with the Meadows Center for Water and the Environment. 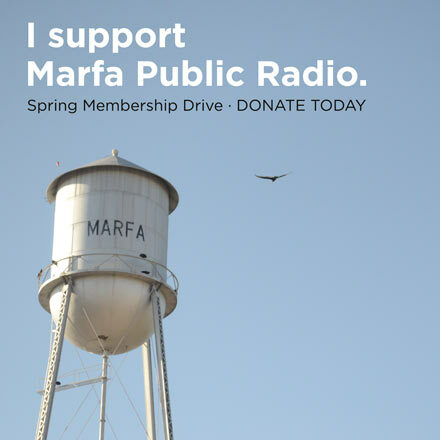 In west Texas, he says, the situation is more fragile than in the wetter parts of the state. 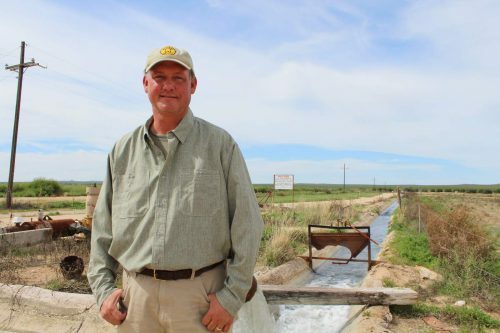 Brackish water is central to everyday operations for some ranchers and farmers in west Texas, especially those tapping aquifers that yield an abundance of slightly saline water. Some communities are already cleaning up it up for use in their municipal water supply. Sansom says it’s cheaper and more efficient than desalinating say, gulf seawater. “And that’s why quite honestly on the supply side, brackish groundwater is probably the brightest opportunity that we have,” he says. Some longtime west Texas residents are getting nervous about their local sources of water. Hudspeth County Attorney Kit Bramblett opposes the new water drilling operations, especially the one just permitted not far from his ranch. His ranch is studded with mountains and ocotillo cactus, nestled up to the U.S.-Mexico border and far from the drilling rigs and industrial traffic of the Permian. Bramblett is 86 years old. He went to college with Clayton Williams Jr., and he remembers when Comanche Springs dried up in the early 1950s. He says that at some point, we’ll have to stop people from pumping water for certain uses. Because if nothing else, there’ll be legal hell to pay. Water use in fracking operations has reportedly risen six-fold in the Permian Basin since 2011, from five billion gallons to 30 billion gallons per year in 2017. Some oil and gas companies are working on ways to reuse and recycle the water used for fracking (including Apache, the Houston-based company drilling in the areas surrounding Balmorhea State Park). Still, energy research firm IHS Market predicts that demand will double again by the end of this year. This entry was posted in KRTS News, KXWT News and tagged Energy, Ground water, UntappedTX, Water, West Texas. Bookmark the permalink.